1Not available with special financing, lease and some other offers. See participating dealer for details. 2$200 dealer doc fee. Call or email for complete, specific vehicle information. 3$699 Perma Plate fee. Please call or email for complete, specific vehicle information. 4Not available with special financing, lease and some other offers. See participating dealer for details. 5Not available with special finance or lease offers. Take delivery by 04-30-2019. 6Must qualify through GM Financial. Not available with special finance, lease, or some other offers. Take delivery by 04-30-2019. See dealer for details. 7Monthly payment is $13.89 for every $1,000 you finance. Example down payment: 4.3%. Must finance with GM Financial. Some customers may not qualify. Not available with lease and some other offers. Take new retail delivery by 4/30/2019. See dealer for details. 1Not available with special financing, lease and some other offers. See participating dealer for details. 2$200 dealer doc fee. Call or email for complete, specific vehicle information. 3$699 Perma Plate fee. Please call or email for complete, specific vehicle information. 4Not available with special finance or lease offers. Take delivery by 04-30-2019. 5Must qualify through GM Financial. Not available with special finance, lease, or some other offers. Take delivery by 04-30-2019. See dealer for details. 1Must own a 1999 or newer non GM vehicle for a minimum of 30 days. 2$200 dealer doc fee. Call or email for complete, specific vehicle information. 3$699 Perma Plate fee. Please call or email for complete, specific vehicle information. 4Not available with lease and some other offers. See dealer for details. 5Must qualify through GM Financial. Not available with special finance, lease, or some other offers. Take delivery by 04-30-2019. See dealer for details. 6Not available with special financing, lease and some other offers. See participating dealer for details. 1Must own a 1999 or newer non GM vehicle for a minimum of 30 days. 2$200 dealer doc fee. Call or email for complete, specific vehicle information. 3$699 Perma Plate fee. Please call or email for complete, specific vehicle information. 4Must qualify through GM Financial. Not available with special finance, lease, or some other offers. Take delivery by 04-30-2019. See dealer for details. 5Not available with lease and some other offers. See dealer for details. 6Not available with special financing, lease and some other offers. See participating dealer for details. 1Must own a 1999 or newer non GM vehicle for a minimum of 30 days. 2$200 dealer doc fee. Call or email for complete, specific vehicle information. 3$699 Perma Plate fee. Please call or email for complete, specific vehicle information. 4Not available with special financing, lease and some other offers. See participating dealer for details. 5Must qualify through GM Financial. Not available with special finance, lease, or some other offers. Take delivery by 04-30-2019. See dealer for details. 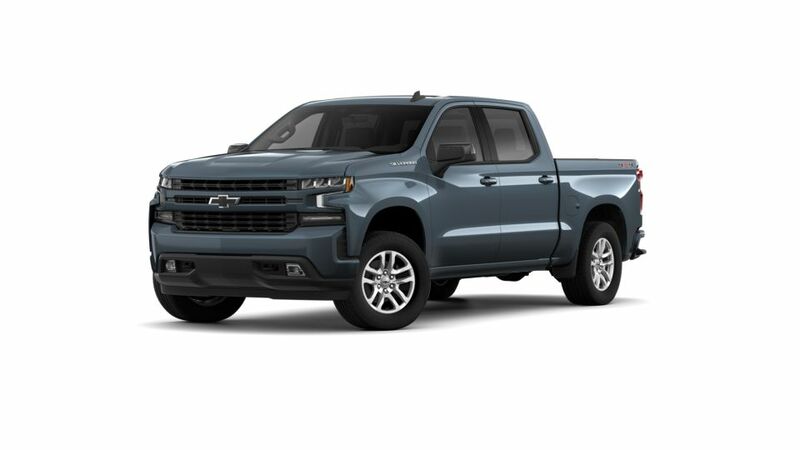 The Chevrolet Silverado 1500 is bold, strong, and expertly designed to work hard like a truck, but with all the modern conveniences you should expect in 2018. Our Wasilla, AK Chevy dealership has a huge inventory of Silverado 1500s ready for you to test drive. You'll love the powerful engine options, paired with amazing fuel economy not found in most full-size pickup trucks. No matter what you're towing or where you're driving, the Chevy Silverado is quiet and comfortable. Never has a truck been so strong, durable, and comfortable. 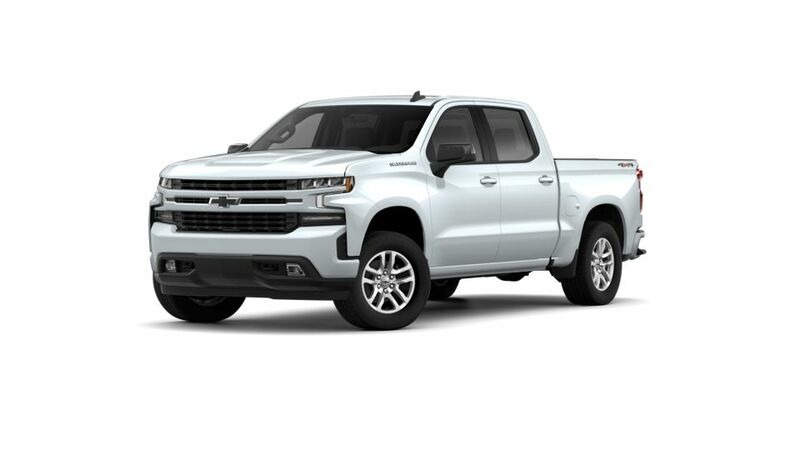 Visit our model showroom, take a look online at our current Chevy Silverado 1500 inventory, or stop by our Palmer area Silverado dealership for a test drive today! Why is the such a popular choice for Wasilla drivers? Look through our inventory of new s in Wasilla to choose the color and trim level that that will get the job done for you. For more info, contact us at (907) 202-8469 about buying or leasing a .